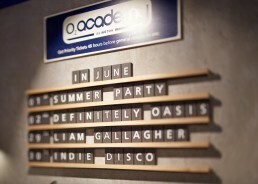 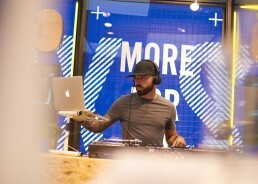 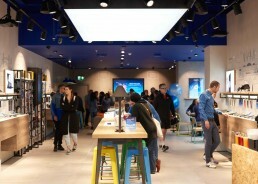 This is your store London! 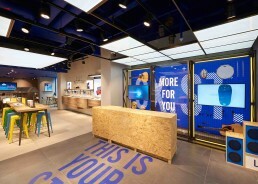 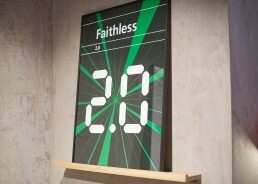 Working closely with the O2 in-house design team, we developed and refined the Connected Stores concept for a UK wide roll out. 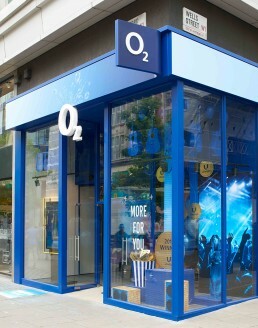 Paying particular attention to the display fixtures and in store unitary, in order to maximise all commercial opportunities. 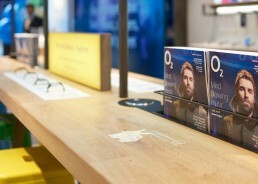 The product wall display units simplify the presentation of mobile devices, and combined with the accessories shelf, creates way-finding and product context, as well as the opportunity to create add on sales. 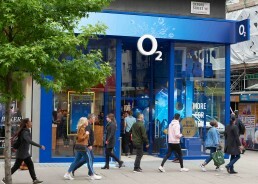 The overall store experience is very customer focused, and allows visitors to experience the world of O2 in an engaging and constantly evolving environment.